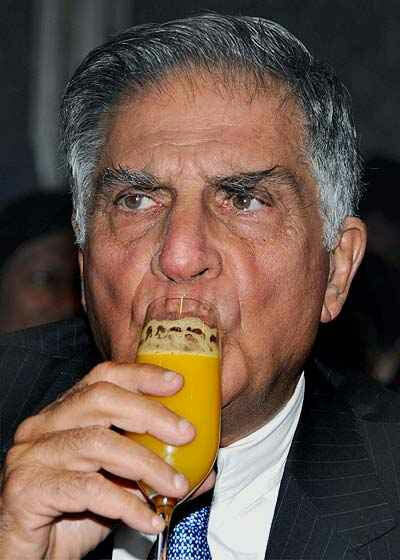 Continuing his investment spree in India’s hot start-ups, Ratan Tata on Friday invested in Kyazoonga. Launched in early 2007, Kyazoonga has grown to become a leading entertainment and sports ticketing company. This is Tata's eighth investment this year after investing in - DogSpot.in, Tracxn, CashKaro, FirstCry, Teabox, Moglix and Invictus Oncology. Besides creating the ticketing market in India, Kyazoonga has ticketed major international events including the ICC Cricket World Cup in three countries, the FIFA World Cup Qualifiers, SAFF Cup, bilateral international cricket matches and domestic tournaments such as the Indian Premier League and the Pro Kabaddi League, Nehru Cup and others. Most recently, it was adjudged a close runner up in the ticketing bid for the Rio 2016 Olympics, beating global ticketing majors to reach that position. Kyazoonga now has ticketing operations around the world - in the UAE, U.S., and the Caribbean. It tickets major tournaments such as the Caribbean Premier League and the Pakistan Super League. Speaking about the investment, Neetu Bhatia, CEO and co-founder of Kyazoonga said, "We are delighted to have Mr. Tata on board. As we scale Kyazoonga into a global enterprise, glad to know he shares in the excitement of our mission of 'Tickets made simple for everyone, everywhere'. Calling herself a ‘lifelong fan’ of Tata’s work, “that has included building several Tata companies into global majors, and as someone whose early world view of business was shaped by interactions with the Tata Group and Bombay House and his office, it is an honor and a privilege to get his validation for our team, product and market." Tata Trust Chairman and Senior Advisor to IDG Ventures India, Tata has made personal investments in startups, ranging from e-commerce firms to cab aggregators. The top industrialist is an investor in firms like Snapdeal, Kaaryah, Urban Ladder, Bluestone, CarDekho, Sabse Technologies, China's Xiaomi and Ola.